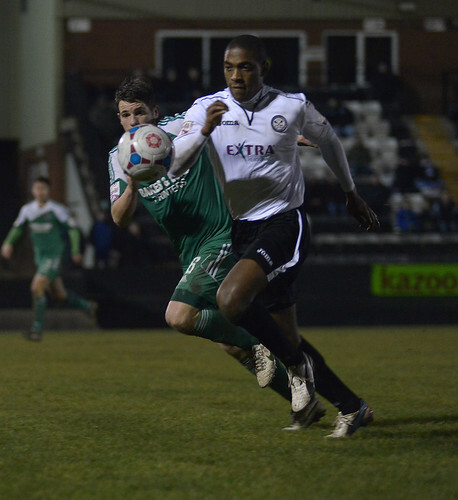 Hednesford Town returned to the top of the Skrill North following a hard fought 2-0 victory over a determined Bradford Park Avenue side at Keys Park last night. 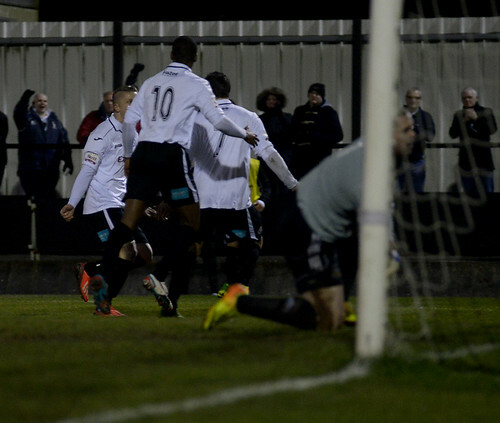 A goal in each half from Jamey Osborne and Ben Bailey ultimately proved to be the difference on the night to see The Pitmen record back-to-back league victories for the first time in over a month, writes Scott Smith. 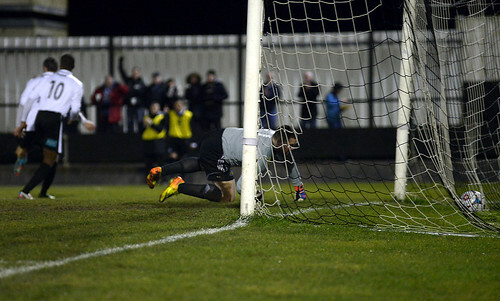 As in previous matches, Hednesford made a strong start to the game and they almost took the lead in the fourth minute when Nathan Woolfe saw his left-footed effort superbly saved by Bradford goalkeeper John Lamb. The home faithful didn’t have long to wait for a goal though as The Pitmen opened the scoring in the eighth minute. 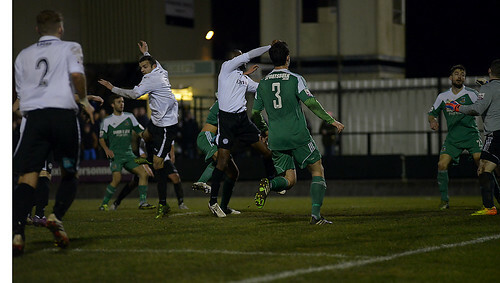 Following a flowing move, Osborne was on hand to slam the ball home from six yards after being picked out by a low cross from Woolfe. The visitors responded well though with Town goalkeeper Dan Crane being forced into a low save before a shot was deflected up off Dave Macpherson and just over the Hednesford goal in the minutes that followed. Clear-cut chances were few and far between for either side, however Elliott Durrell almost doubled the lead for Town right on the stroke of halftime when he headed wide at the back post after being left unmarked from a corner. Town started the second half in as quick a fashion as the first and Greg Pearson was slightly unlucky to see the ball bobble off both legs with just Lamb to beat after being set up by Durrell. The next 15 minutes saw Bradford laying siege to the Town goal though, with Crane being forced into two smart saves to preserve his side’s clean sheet in the process. Firstly he came out well to smother a Nicky Boshell driven effort, before being alert at his near post to deny Alex Davidson as Town hung onto their narrow lead. 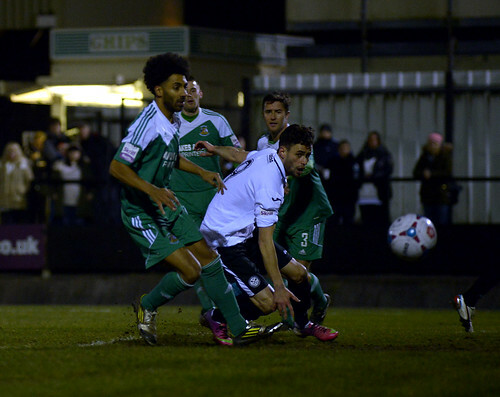 Hednesford finally managed to kill off the game with 15 minutes remaining though. Following a free kick into the box, the ball found its way to Bailey on the edge of the box who swivelled superbly and hit a half volleyed shot over Lamb and into the top corner of the net for a ‘goal of the season’ contender. The home side were then content to play out time with the visitors rarely threatening the Town goal and in the end Hednesford were able to pick up another important three points to move them two points clear of the chasing pack. 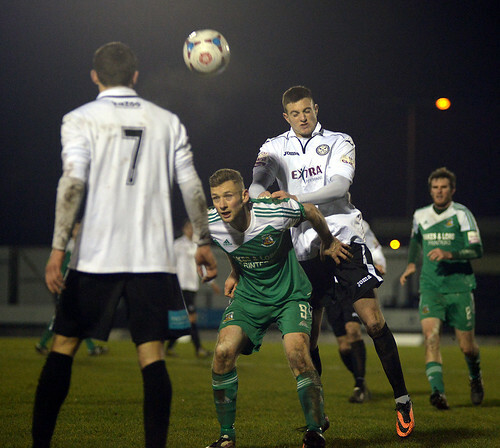 The Pitmen are next in action on Saturday when they travel to Vauxhall Motors before hosting AFC Telford United on Boxing Day at Keys Park, 3.00pm kick off.